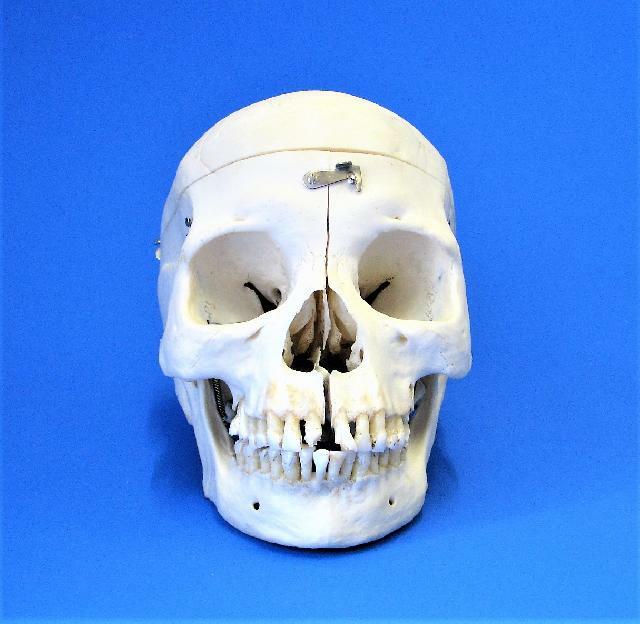 We have the unique opportunity in offering several original human educational skulls. All offers are absolutely legal. We did not process or mount these skulls or jaws in our company, we just offer them already mounted from a former collection as you see them in the pictures. We prefer clients from universities or a museum but also private collectors are allowed to buy these items. Export outside EU is possible upon request at additional charges.